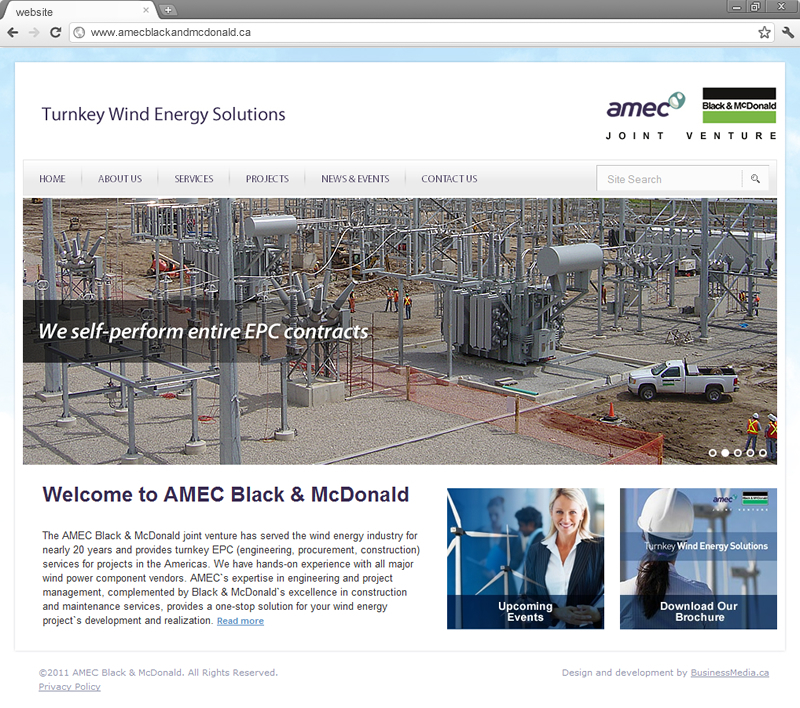 The AMEC Black & McDonald joint venture has served the wind energy industry for nearly 20 years and provides turnkey EPC (engineering, procurement, construction) services for projects in the Americas. 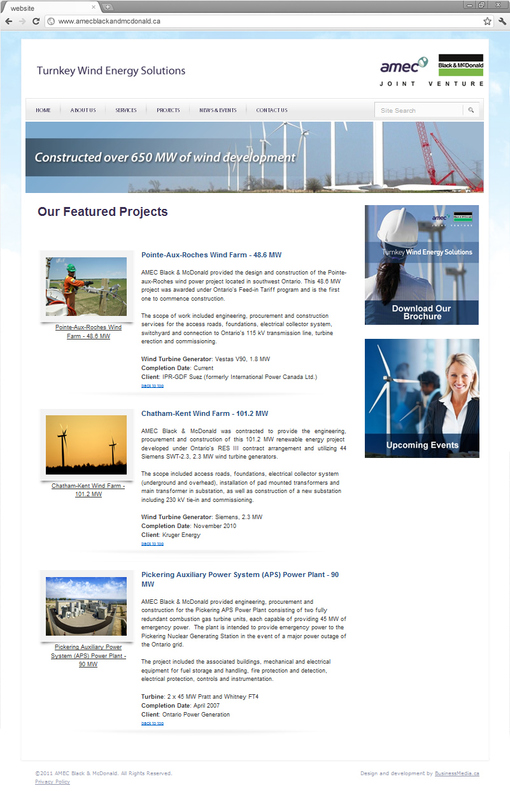 Company has hands-on experience with all major wind power component vendors. AMEC`s expertise in engineering and project management, complemented by Black & McDonald`s excellence in construction and maintenance services, provides a one-stop solution for your wind energy project`s development and realization. 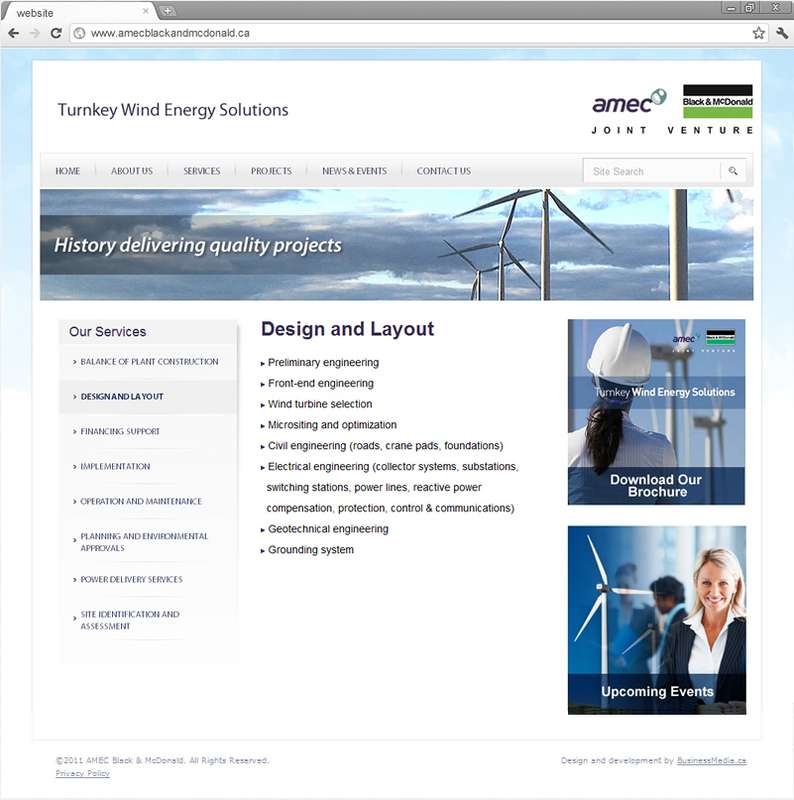 The general objective of this project was to design a simple, yet appealing website which would best market and support the joint venture.